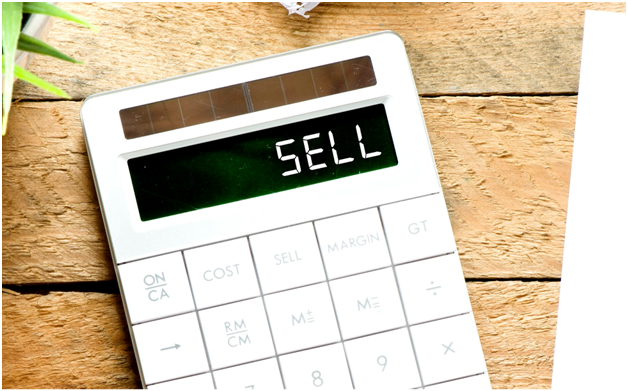 Are you wondering whether you should invest in content marketing or not? Having second thoughts about why you should do so? 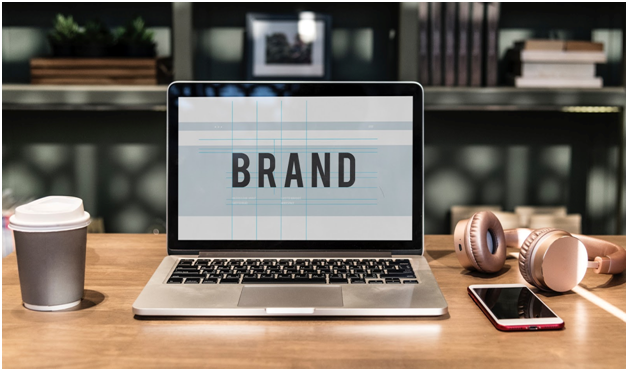 Content marketing involves the creation and sharing of various digital files including videos, blogs, and social media posts that aim to promote a brand. It is intended to stimulate interest. Ninety-one percent of B2B marketers use this strategy to reach their customers. CMI’s 2018 report also reveals that 86% of B2C marketers consider this as a key strategy for marketing. Yes, this really helps but this might not be for everyone because it can be expensive and time-consuming. Here are some reasons why you shouldn’t invest in content marketing. Content marketing is really expensive if you want to hire an agency to do it for you because it’s not easy to accomplish and it takes time. The price may cost you between $5,000 – $25,000 depending on the size and scope of your company goals. 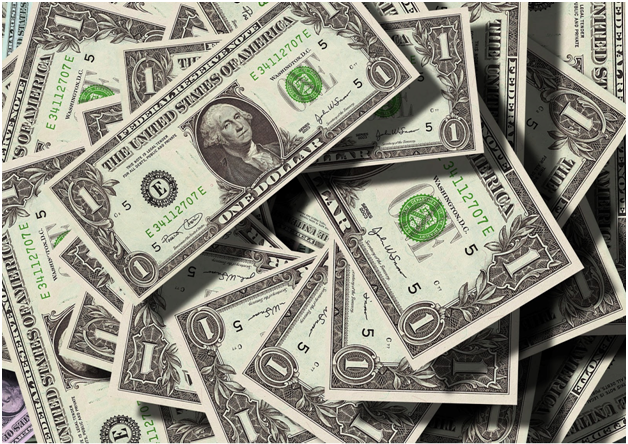 Social Media content price alone can cost you from $1,000 to $5000. This also depends on the number of channels, frequency of posts, monitoring and reporting, and ad spend. In 2018, the average small-to-midsized business spent between $2000 to $10,000 per month for a custom website content. Some writers can charge up to $45,000 per page and others charge $1 to $2 per word. B2B marketers use three strategies for lead generation which are email marketing (78%), event marketing (73%) and content marketing (67%). If lead generation via content marketing isn’t important to you then you can probably skip it as you still have other options. No matter what strategy you use to create leads — be it email marketing or event marketing — make sure that you nurture your leads. When creating leads, focus on marketing and communication efforts and listen to the needs of your prospects. At the same time, provide them with the information they need. To create nurtured leads, use targeted content, make immediate follow up calls, personalized emails, and align your sales and marketing leads. 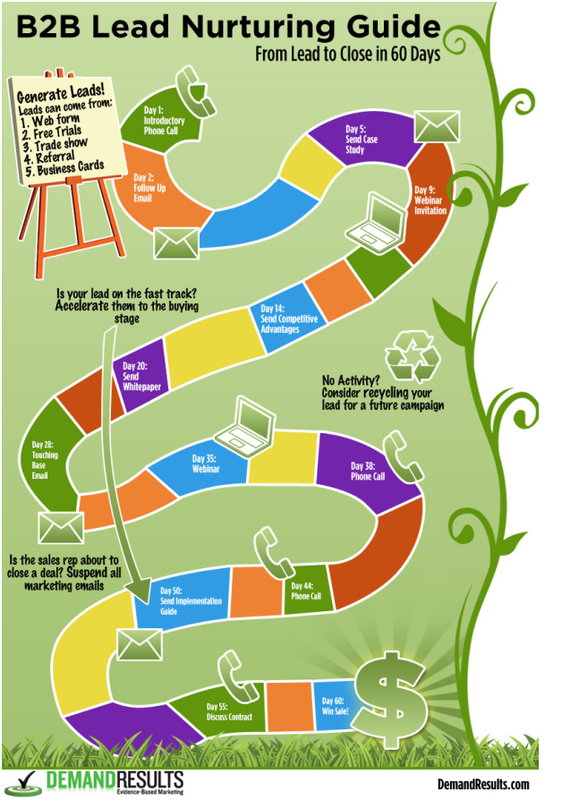 Thanks to this, you can still generate leads even without content marketing, but this also takes time. Producing quality and engaging content is not easy. The struggle doubles when it comes to producing high-quality content consistently because you need to deliver regularly. Anyone can write, blog or create a video but the quality of content produced is not the same, others aren’t effective. Sixty-five percent find it challenging to produce engaging content and 60% say that they can’t produce content consistently. Even visual contents aren’t that easy to do. Thirty-five percent admit that they struggle in producing engaging visual consistently. Overall, 47% find creating visual content consistently very difficult. If you are not willing to spend time writing content or learn how to do it better and consistently, and you are willing to forego the benefits that engaging content can offer for your marketing efforts then don’t invest in content marketing. 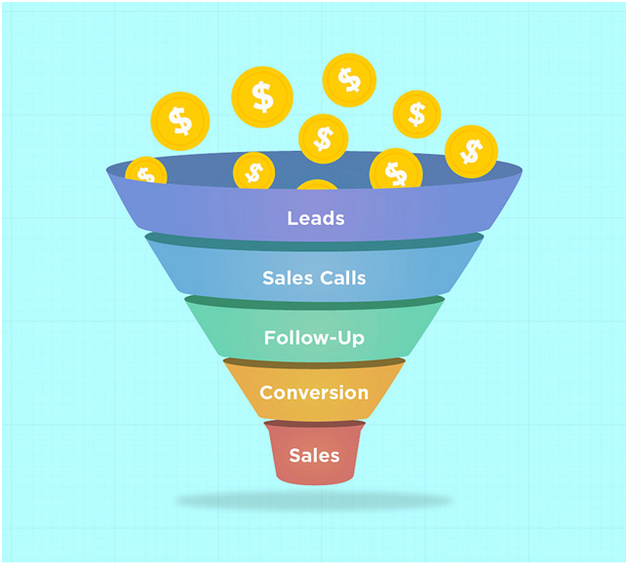 Lead nurturing is the process of developing relationships with your prospects at every stage of the sales funnels until your covert them to be your customer. However, this is really not easy because you have to spend time and effort on it. It has several processes including lead scoring that ranks prospects against a scale that represents their perceived value to the organization. This helps the salespeople determine which leads they need to engage in order of priority. Unfortunately, lead nurturing doesn’t guarantee results so it can be a waste of time. On average, 50% of the leads in any system are not yet ready to buy and 80% of the new leads never become sales. There are tons of content online and you have to compete with the others for them to notice you. For blogs alone, there are over a million entries published daily but only a small percentage attract the readers’ attention. Content marketing usually aims to promote brand awareness and not everyone has the time to follow your every post. 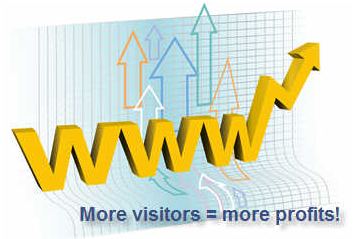 In fact, 55% of all page views only get 15 seconds of the visitors’ attention. In addition, the average attention span of Internet users has dropped to 8 seconds from 12 seconds in 2000. Web users tend to spend 69% of their time viewing the left half of the page and the other 30% viewing the right. Most of the visitors just scroll through about 50 to 60% of an article page, only less than 20% of the text content is actually read and only 10-20% of the visitors make it to the bottom of the post. Content marketing is expensive and it takes a lot of work. 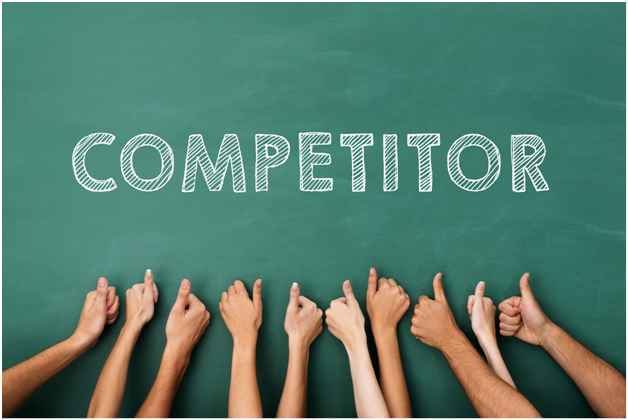 You have to compete with everyone to rank first on Google results and on social media to be visible to most online users. No matter how many blogs you write or videos you post, it won’t be helpful if your prospects don’t see it. But being visible isn’t that easy because the majority are using the same strategy. Ninety-one percent of B2B marketers use content marketing to reach customers. Meanwhile, 86% of B2C marketers consider content marketing is a key strategy. 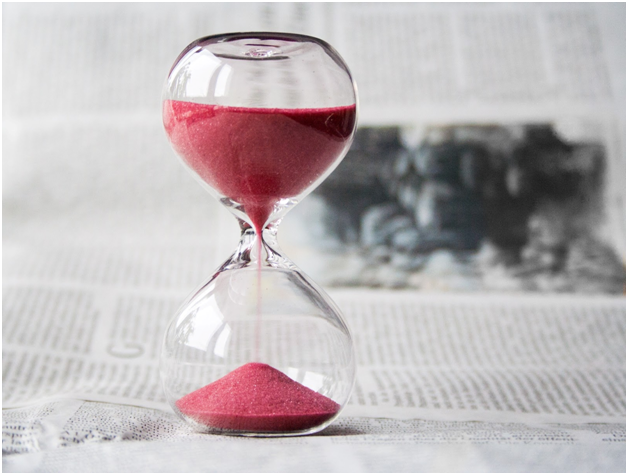 If you don’t have the time and you’re not willing to compete, then content marketing is definitely not for you, so you should not invest in it. “Content marketing is a strategic marketing approach focused on creating and distributing valuable, relevant, and consistent content to attract and retain a clearly defined audience — and, ultimately, to drive profitable customer action,” – Content Marketing Institute. Those who use content marketing have certain organizational goals. 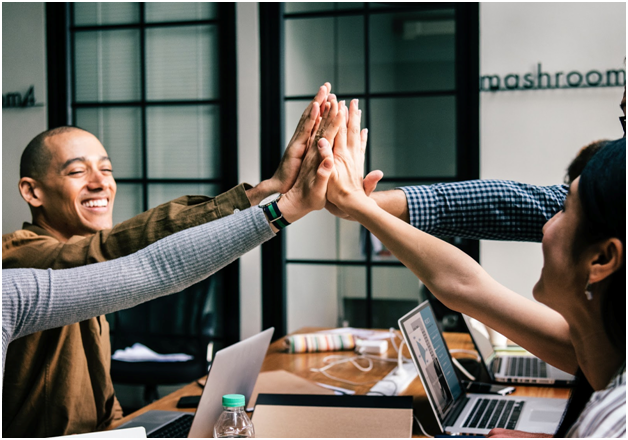 Seventy-five percent of them aim to improve their sales and content marketing proves to be effective in helping them achieve because companies who put their primary focus on content marketing has increased their conversion rate by more than 5 times. Aside from increased sales, many feel that content marketing also helps them with cost savings and in retaining better customers who have more loyalty. If you are already happy with your sales and current customers, and you don’t wish to improve it, then there’s no need for you to invest in content marketing. You can just go on with your business without it. 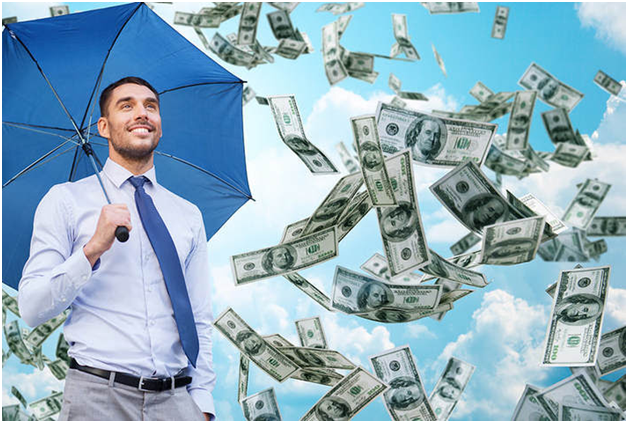 If you have a website with a good traffic, you’ll likely generate money from it because you can turn your visitors into a potential customers. Otherwise, you will not generate any sales at all. Content marketing is an effective way to increase traffic on websites and blogs. Robbie Richards grew his traffic to 272% in just 30 days by creating the right content and promoting his blog to the right people. He did it all by himself without marketing budget and zero connections just after a month from starting his own blog. However, he considered it a full-time job when he did it. If you don’t have the time and patience to do just like Richards did, and you are happy with the traffic you have, then you don’t need content marketing. Content marketing doesn’t directly sell to your prospects. It’s more about building brand awareness. The goal is to inform the prospects before you introduce your products or services to them. “The focus of content marketing is to educate first and sell second. Ideally, you don’t mention yourself or your business until the call to action at the end of the article or video,” Neil Patel wrote. If you consider this a waste of time as you won’t be selling directly through content marketing, then this type of marketing is not for you. Content marketing effectively builds brand awareness and loyalty. Content strength helps brands improve their personal well-being by about 71% which determines how meaningful people about it. Meaningful brands outperformed their competitors by 206 percent in the stock market. Startups rely heavily on content marketing to promote their brand. About 89% percent admitted that they use content marketing to ramp up and 66 percent said that they consider this as a driving force for their business growth. If your company is already established and you don’t need to build brand awareness or reputation to promote your products and services, then you have another reason to not invest in content marketing. Content marketing is a good platform to help you connect with your prospect and current customers and build trust and relationship with them. Great content doesn’t only build brand awareness, it can help you build your reputation too. As you keep your prospects close to you, over time you will gain their trust and they will do business with you. Sixty-one percent of consumers admitted that their buying decision is influenced by custom content. Visual content tends to be more appealing to prospects especially videos. About 48% of marketers make YouTube video their priority for content marketing, another 46% focus on Facebook video. Forty percent of millennials trust videos and 50% of those aged between 18 and 34 would stop what they’re doing to watch a video. If you feel that your customers and prospects already trust you and you’re confident about your relationship with them, then you can continue with your business as usual – without content marketing. Most are into content marketing today but if you are already satisfied with your sales and traffic, and you’re confident with your brand, then you might not need this. Also, you have to consider your budget and time, if you are not willing to compete and you find maintaining social media, website, and blogs too time-consuming, then just don’t invest in content marketing. 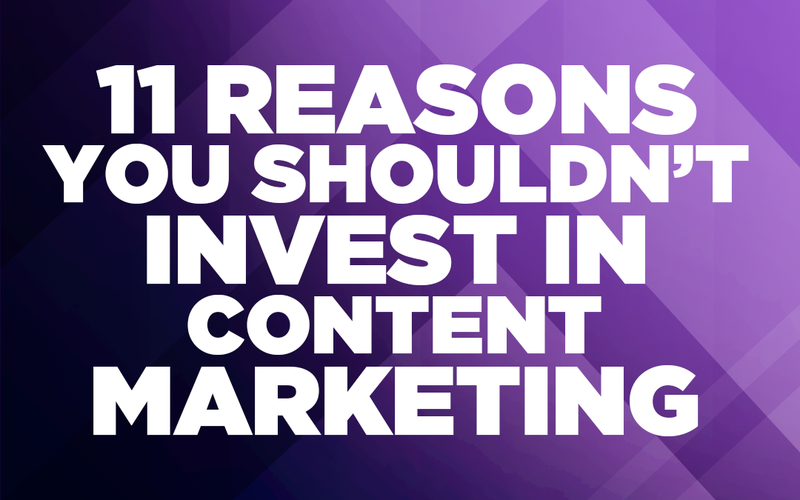 Do you know any other reasons why one shouldn’t invest in content marketing? Feel free to share it with us below. Cath is a graduate of Computer Science who loves writing and reading. She ditched writing codes to write content articles about mobile apps, marketing growth hacks and more.